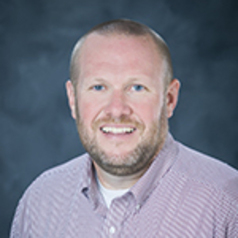 JohnEric Smith, Ph.D, C.S.C.S is an assistant professor and director of the Applied Physiology Laboratory at Mississippi State University. JohnEric’s academic training was focused on human performance and environmental infuence on human physiology. After finishing his Ph.D., JohnEric took a position at the Gatorade Sports Science Institute to investigate the impact of nutritional interventions on human performance with a special focus on carbohydrate metabolism. Effects of a 15-day low carbohydrate, high fat diet in resistance trained males., Journal of Strength and Conditioning Research. Fat grip resistance training improves driving performance in Division I male golfers., Journal of Strength and Conditioning Research. A shift towards a high-fat diet in the current metabolic paradigm: A new perspective., Nutrition. Exogenous ketone salts do not improve cognitive responses after a high-intensity exercise protocol in healthy college-aged males., Applied Physiology, Nutrition and Metabolism. Ingestion of an amino acid electrolyte beverage during resistance exercise does not impact fluid shifts into muscle or performance., Sports. Superhero physiology: The case of Captain America., Advances in Physiology Education. Effects of carbohydrate and branched chain amino acid ingestion during upper-body resistance exercise on performance and post-exercise hormone response., Applied Physiology, Nutrition and Metabolism. Efficacy of carbohydrate ingestion during training on CrossFit performance., Sports. Effects of carbohydrate mouth rinse and ingestion on repeated sprint performance., International Journal of Sports Nutrition and Exercise Metabolism. Exogenous carbohydrate reduces cortisol response from combined mental and physical stress., International Journal of Sports Medicine. Effects of acute carbohydrate ingestion on anaerobic exercise performance., Journal of the International Society of Sports Nutrition. Nutritional considerations for performance in young athletes., Journal of Sports Medicine. Curvilinear dose-response relationship of carbohydrate (0-120 g·h-1) and performance., Medicine and Science in Sports and Exercise. Carbohydrate Administration and Performance: What are the Potential Mechanisms Involved?, Sports Medicine. Fuel selection and cycling endurance performance with ingestion of 13C-glucose: Evidence of a carbohydrate dose-response., Journal of Applied Physiology.